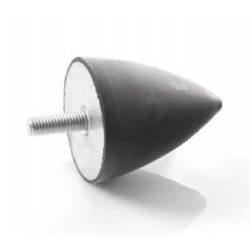 Cylindrical vibration dampers type A Rubber material: SBRMetal material: DIN EN 10111-98Metal Coating: ZincHardness: 45/55/70 Shore AHardness tolerance: +/- 5 The price is per. PCS. 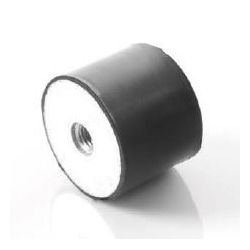 Cylindrical vibration dampers type B Rubber material: SBRMetal material: DIN EN 10111-98Metal Coating: ZincHardness: 45/55/70 Shore AHardness tolerance: +/- 5 The price is per. PCS. 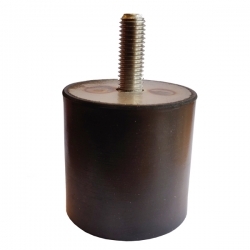 Cylindrical vibration dampers type C Rubber Material: SBRMetal material: DIN EN 10111-98Metal Coating: ZincHardness: 45/55/70 Shore AHardness tolerance: +/- 5 The price is per. PCS. 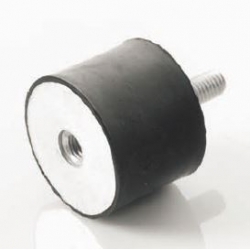 Cylindrical vibration dampers type D Rubber Material: SBRMetal material: DIN EN 10111-98Metal Coating: ZincHardness: 45/55/70 Shore AHardness tolerance: +/- 5 The price is per. PCS. 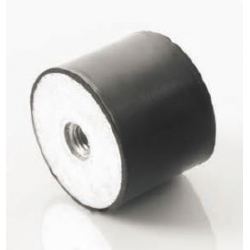 Cylindrical vibration dampers type E Rubber Material: SBRMetal material: DIN EN 10111-98Metal Coating: ZincHardness: 45/55/70 Shore AHardness tolerance: +/- 5 The price is per. PCS. 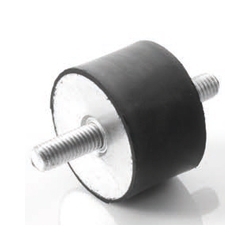 Vibration dampers type KP Rubber Material: SBRMetal material: DIN EN 10111-98Metal Coating: ZincHardness: 45/55/70 Shore AHardness tolerance: +/- 5 The price is per. PCS. 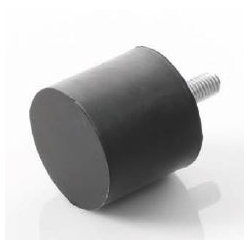 Material: EPDM + Stainless steelSize: ø50x50mmWeight: 0.16kgThread: M10Thread length: 28mm The price is per. PCS.